Hello! 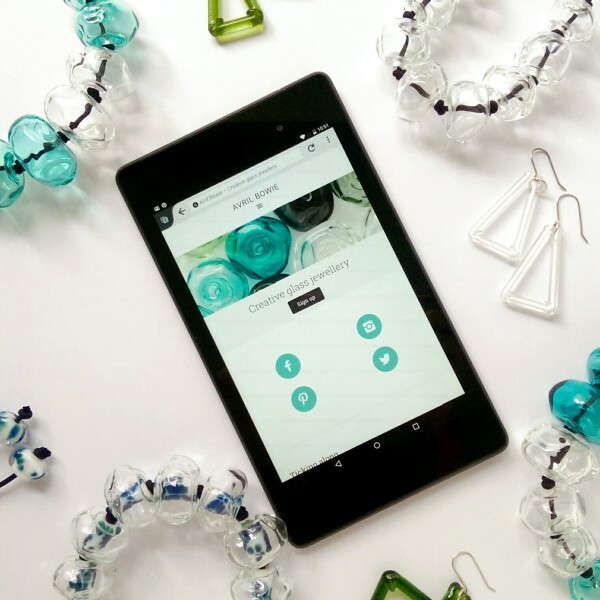 Just thought I’d pop in to say I’ve redesigned my website – how do you like it? I think it’s looking a lot better – much more modern. I’m looking forward to getting more pictures up on it and I’ll have my own online shop on here very soon, too. I’m a bit slow with creating it but I love mucking about with websites, so I’m enjoying the process immensely. I will have some new-ish necklaces and earrings up here soon. 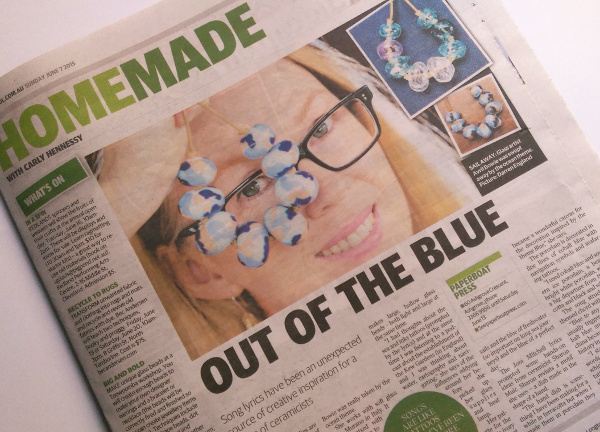 I have made more transparent blue necklaces from the Blue Exhibition, they will make an appearance on my online shop and at Artisan, in Fortitude Valley. 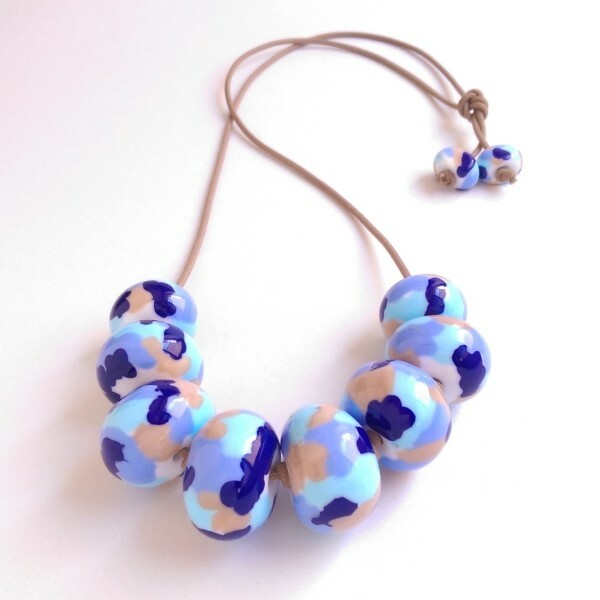 So if you like to try on your necklace before buying, then look out for a future update. I’ve also made a few other necklaces, again in that transparent coloured glass look, so there will be a few choices coming soon. The picture above shows a sneak peak at a couple of them. And lastly, I am enjoying the warm weather, not for humidity or heat, but for the new inspiration that hits me around this time of the year. Bright greens have peaked my inspiration board lately, so I might have to make something to indulge it. Take a look at the Green Pinterest board (plus a Glass one) I put together to help me collate ideas. Get inspired, too! Wow. Well, time flies when you’re having fun. I’m in a upcoming group exhibition at Paper Boat Press which opens this week! May 29th to June 13 to be exact. 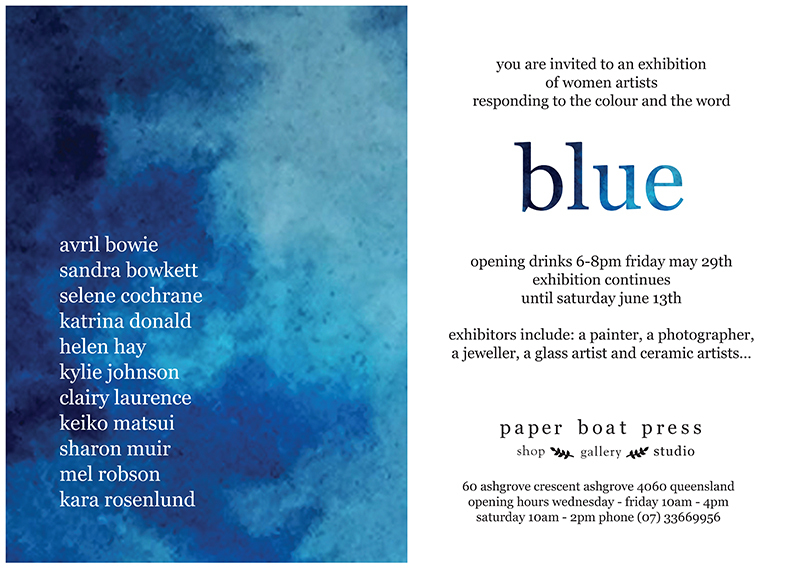 The exhibition is called Blue and it will show the works of 11 artists responding to the word and the colour. 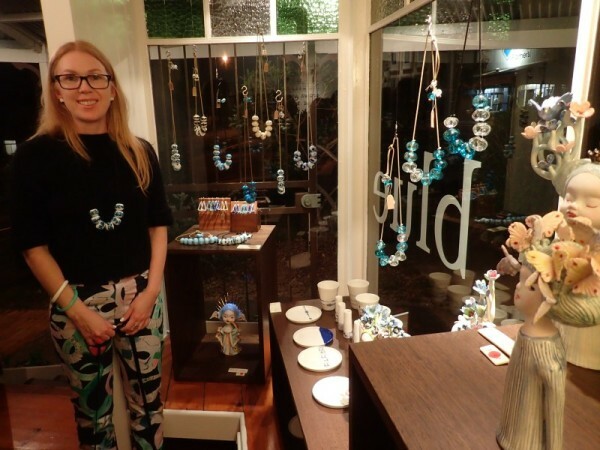 There will be 7 ceramic artists, a photographer, a jeweller, a painter, and a glass artist (that’s me). I’m really looking forward to seeing it, not just for my own work, but for all the others. I’ve been checking out the other artist’s Instagram accounts to get sneak peeks – there is some really beautiful work going on. Come along and see it.